The Windows 10 is out and comes with some special apps and games available in the Windows Store. But if you search for 10 famous games for Android and iOS devices on the Windows Store, you will not be able to find 9 of them. Yes the Store is still new and lack of interesting games and apps. But there is the biggest apps store available for users which is the Google Play Store and its loaded with millions of apps and games. 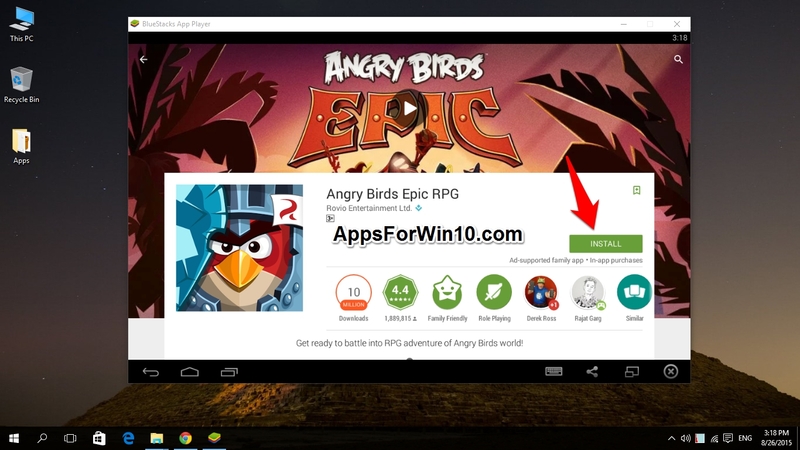 You can have or you can download any Android Game For Windows 10 or running older versions of Windows i.e, Windows 8.1, Windows 8, Windows 7 or even the Windows XP. Although the Windows 10 inherits the official Windows 8.1 Market place renamed to Windows Store or “Store” in Windows 10 but still the number off apps that are available here are too low and the ones with some quality stuff are not free. So we have to find a way to jump into other stores and get some quality apps and run them on the Windows platform. Most of people around the globe use the Android OS devices while some are okay with iOS devices made by Apple. But we know that there are almost all iOS apps are now available for Android platform and you can download and install any app that you saw on iTunes from the official Android store the Google Play Store. The list of best Android emulator players which you can download and install on your PC to get all those wanted Android apps that you have installed on your Android Smartphones. Here you go these are the top and most used Android Emulator apps that are being used on PC for running the latest Android games. Most of them are identical and work on the same principals but the Windroy Android Emulator is the only one which runs on the Windows Kernel. The only stable and best one which has the best user ratings and experience so far is the BlueStacks player which can be downloaded here with the full instructions menu to get the Android App For PC . 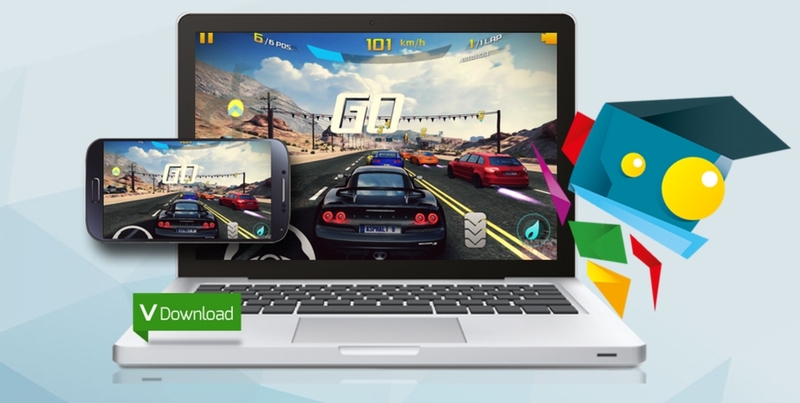 You can download almost any type of Android app using this BlueStacks player available for Windows. All you have to do is follow these steps given below in this guide to download the emulator on your PC and get the Android App For PC. Step 1: First of all get the BlueStacks player from the official Website. Step 2: If you don’t know how to install the BlueStacks Android Emulator app then you should head to this guide to download and install it properly. Step 3: Once downloaded successfully the app will start in seconds or you can click on the BlueStacks icon to open it manually. Step 4: After you open the app you will see the starting Window for some time, it depends on your PC configuration how long it will take. Step 5: For the first run you have to sign in with your Google account to get the Google Play Store working and let you access all the apps you are looking for to download on your PC. Step 5: Once opened you can see the following screen as their are some apps preloaded in the BlueStacks Android Emulator while you can find others by typing the apps name in the search button on the left top of the app. It will start searching the app on Google Play Store automatically. 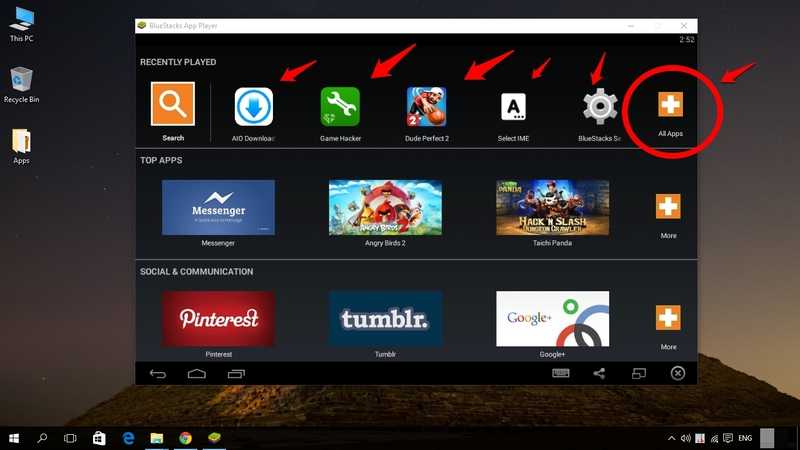 Step 6: You can see in the image below about the main features of these buttons on the BlueStacks app. 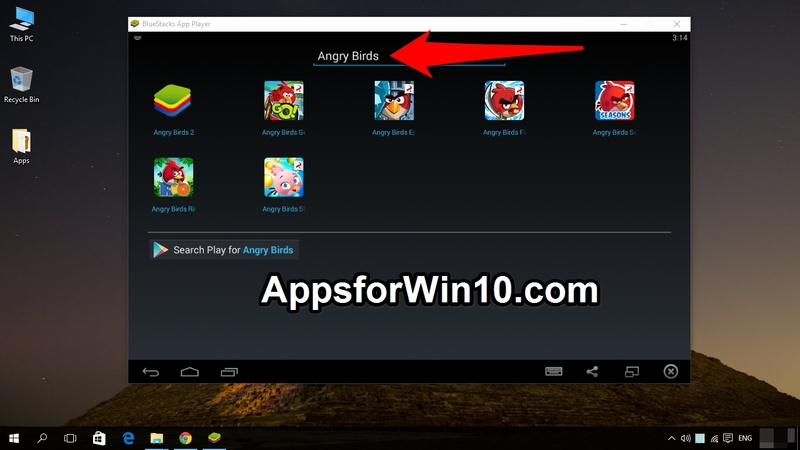 Step 7: If you want to search for any app you want to download on your PC all you have to do is click on the search button as seen in the image below and type the app or game name as in this case we are searching for the famous Android game Angry Birds. Step 8: Once done you can simply Play the game. Here is the list of games you can read about download and install on your PC Windows 10. Here are some of the most installed games for you.